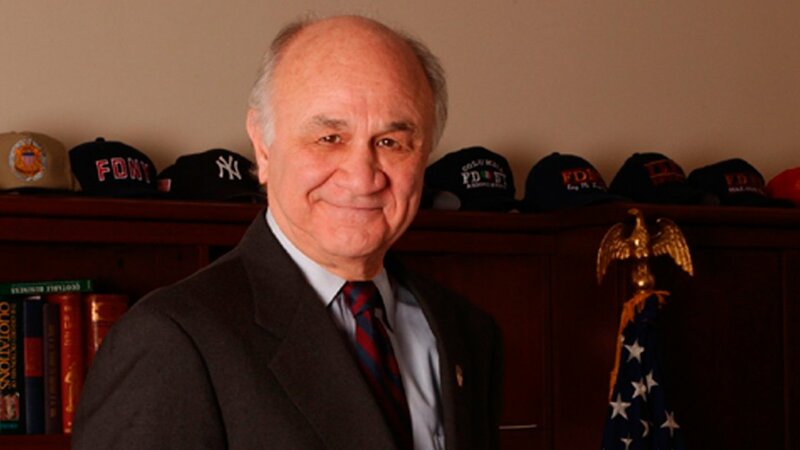 KIPS BAY, Manhattan (WABC) -- Friends and family gathered Wednesday to remember former New York City Fire Commissioner Nicholas Scoppetta in a private memorial service. Mayor Bill de Blasio and former Mayor Michael Bloomberg were among those on had to deliver remarks. Scoppetta, who is credited with rebuilding a devastated FDNY in the wake of the September 11 terror attacks, died last week of cancer at age 83. He served as fire commissioner from 2002 to 2010 and lifted the department after it lost 343 firefighters at the World Trade Center. The service was held at a children's center in Manhattan that was named after Scoppetta, who once ran the Administration for Children's Services during the administration of Rudolph Giuliani. He also served as deputy mayor and commissioner of investigation. Firefighters, former co-workers and some members of the public gathered outside the center to pay their respects, listening to a live audio feed. The Scoppetta Center is a city intake center for children on First Avenue in Kips Bay.